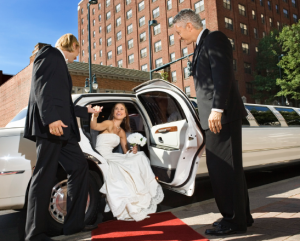 Want to Book a Washington DC Wedding Car Service for a Wedding? Now You Can! We have all been in one situation or another where we needed transport services but were unable to attain them due to the transport company simply not coming through on their promises. This is a big reason that keeps many people away from ever renting limousines for everyday transport use even though doing so would ease their life greatly. We know that it can be quite daunting since some of us still live under the illusion that limousines cost a lot of money but that is a fact of the past now. It is true that limousines once were a sign of luxury that only the richest of people could afford but that is no longer the case. Since more and more people are resorting to booking Washington DC Wedding Limo from DC Limo for everyday use, transport companies understand the need of renting a luxurious vehicle like a limousine even if it is just for a day which is how limousines became quite affordable for people. If you have a wedding coming up that you need to show up in class in, you should not take your own family minivan but instead you should book a limousine from us. Doing so has many benefits, some of which are listed below. Although the prices of limousines have reduced so that people can easily afford them, all the luxury and class that these vehicles stand for is still the same. When you arrive at an event in a limousine like the one we will provide you, we can guarantee that all eyes will be on you. You will be the talk of the town. The reason for this is quite simple. Since most of the people still believe that limousines are quite expensive, you can use this misunderstanding to your advantage. The people at the party won’t know that you actually paid a good and affordable price for the limousine you came in, and that is why they will be wishing they were travelling with you in it. Apart from the affordable rates that you will already find with us at DC Wedding Car Service, you can also reduce the rate further if you wish to use a limousine for everyday use. Now, before you panic, let us tell you how this can work. When you rent a limousine or another luxury vehicle, there is a basic rate that you pay, that stays the same. But when you book the same vehicle for more days than you need it for, the base fee reduces. So if you were to book our limousine for everyday use, it would cost you less than any other luxury car. And what is more is that you will get to travel in one of the finest vehicles in the world. You don’t only need an event like a wedding to book one of our limousines, you can book them for all of the events that you go to because luxury and class knows no limits. Call (202)888-7833 us at Washington DC Wedding Car Service and book your Wedding Car Service in DC now! What are you waiting for?